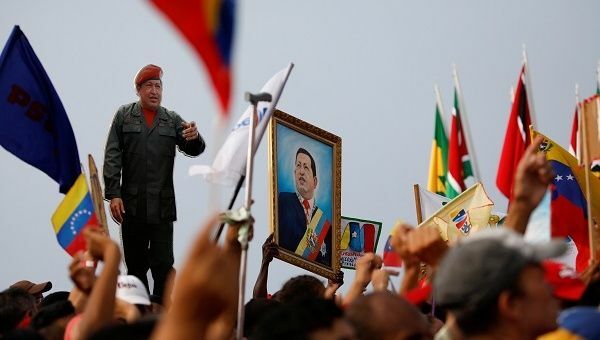 Venezuelan President Nicolas Maduro discusses his core political values in this opinion piece, which has been published by multiple outlets across Latin America. May 4 (teleSUR) Our democracy is unlike any other. Because all other democracies – in practically every country in the world – were created by and for the elites. In these democracies, what’s fair is what is convenient for a few. They are class-biased democracies, where the many are viewed as greater in number but lower in quality. For instance, 20 years ago it was quite normal in Venezuela to be born in violent obstetric conditions. None of us ever considered that at the moment of birth it is not just the newborn’s health that is at risk, but also the health and the rights of the mother and her family. But the revolution changed and it became feminist. And everyone decided to remove sexist violence from our health system and to empower women through a national humanized childbirth program, respecting their personal decisions about how to give birth and rear their children. Twenty years ago, before our Bolivarian revolution, it was normal to blame young people for their own unemployment, and it was a widespread belief that poor people were poor because they were lazy, and thus deserved to have poor health, miserable wages and no roof over their heads. But things changed when we reached government. We firmly asserted that it is not fair for people to stay poor if they are working all day long. That is why, under the Chavista administrations, we pursued full-employment policies, and why my own government has launched – through the ‘Carnet de la Patria’ (homeland card) system that digitally integrated all Venezuelan women and men – the Chamba Juvenil youth employment plan to guarantee that our young people will have access to jobs and a future. Twenty years ago, we also said that it was unfair for home ownership to be a pipe dream for the people and a reality just for the elites, and so we created the Gran Mision Vivienda housing plan, which has enabled us to build and deliver over two million quality homes to families free of charge, and with which we plan to reach five million completed homes in just a few more years. In Venezuela we use a beautiful expression to describe our friends: ‘Mi pana’ (my buddy). There are several explanations for it, but to me it is because in this country a friend is like a part of yourself. And that is precisely what democratic coexistence is all about to us Bolivarians. Ours is a democracy of panas, because to us, the Homeland is our pana, and other people are part of ourselves. Because to us, there can only be freedom and democracy when there are others who think differently, and a space where they can express their identity and differences. That is why we have passionately worked towards transparency, respect, and respect from others for electoral laws with a view to the upcoming May 20 elections. We are competing with four other candidates, each one of them different, but all respectful of the democratic guarantees agreement subscribed by 14 of the 18 existing political parties in Venezuela. The process will be clean and exemplary, as much or more so than the dozens of elections in which Venezuelans have participated in the last two decades. What’s really going on is that we got tired of living in this polarized manner, and decided to turn the political violence of the guarimbas (anti-government barricaders) into a constituent power, and find one another within a constitution made by the people and for the people. That is why I can understand the despair of the elites, who spent decades turning the people into a repository of populism, insults, detestation and barbarity. Ours, on the other hand, is a democracy that is proud to be popular, no doubt about it. It is a democracy of the people.